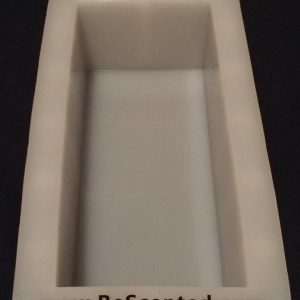 The one and only Signature BeScented Silicone Loaf Mold. Interior Dimensions: 15.5″ x 3.5″ x 3.5″. We recommend using 55 oz of oils for this mold. 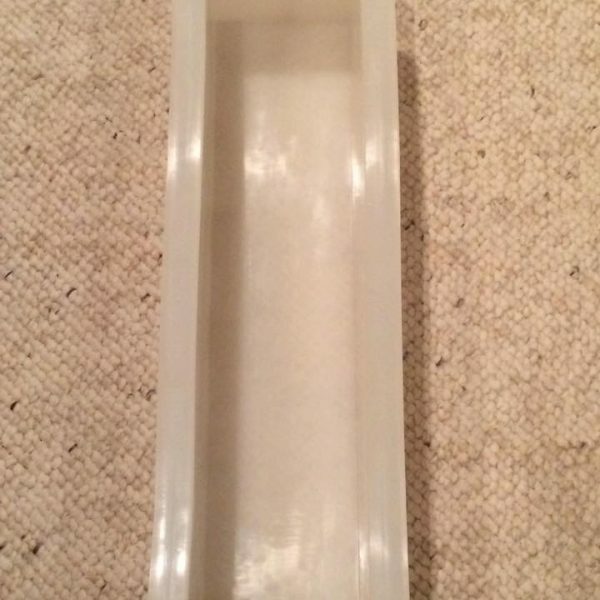 We have used the thickest silicone possible for the molds. 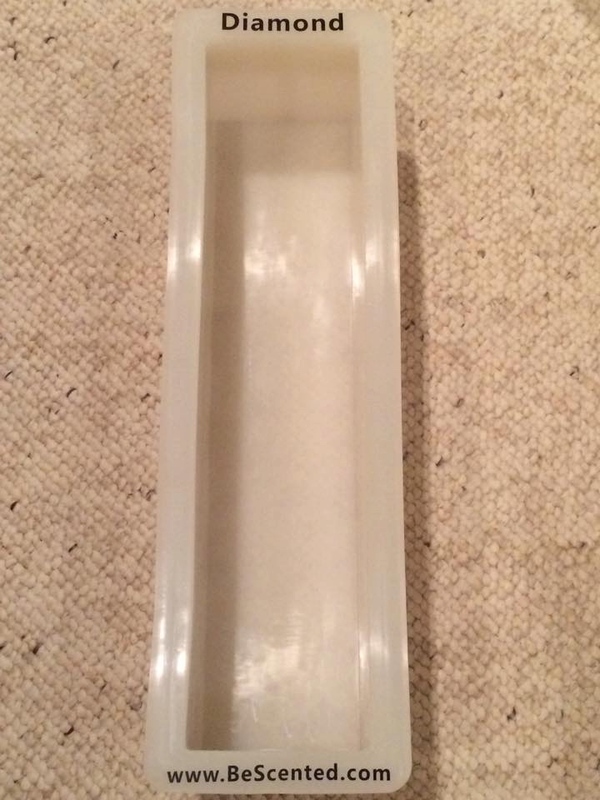 As we confirmed with our testing, any silicone mold over 8 inches long maybe have the tendency to bow a bit. 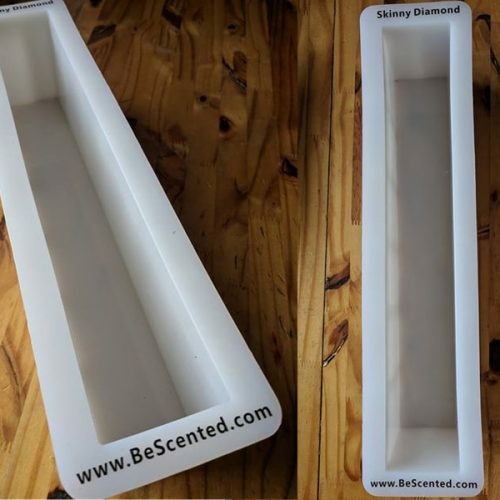 After working with our supplier on several variations, we found the right silicone and a solution should you experience any bowing. We suggest using a small piece of velcro to attach to the tops… it’s the perfect, low cost fix. 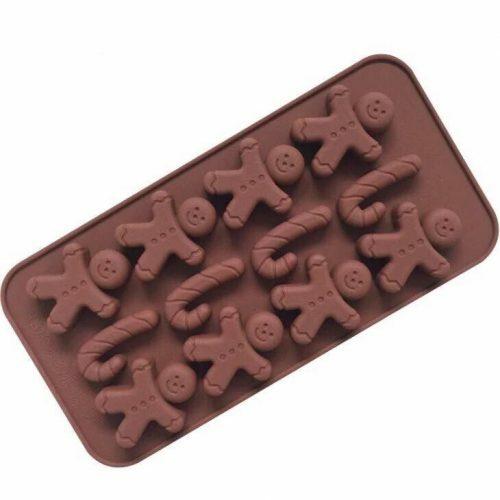 Did we mention these molds can be stacked on top of each other? 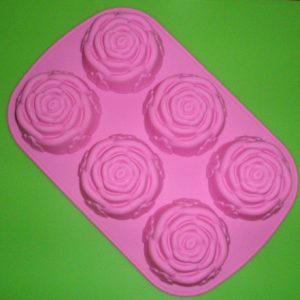 2 reviews for "Diamond Silicone Loaf Mold"
I got this beautiful mold as a birthday present…Best present ever!!!! Extremely easy to unmold the soap and I had no issue with bowing. I will be back for another as soon as my budget allows!